Ice Skating Registration on Sept 6 & Sept 11 from 5-6:30pm at the Rink. Skate Canada learn to skate program offered for all ages and abilities taught by Nationally Certified and highly qualified coaches! 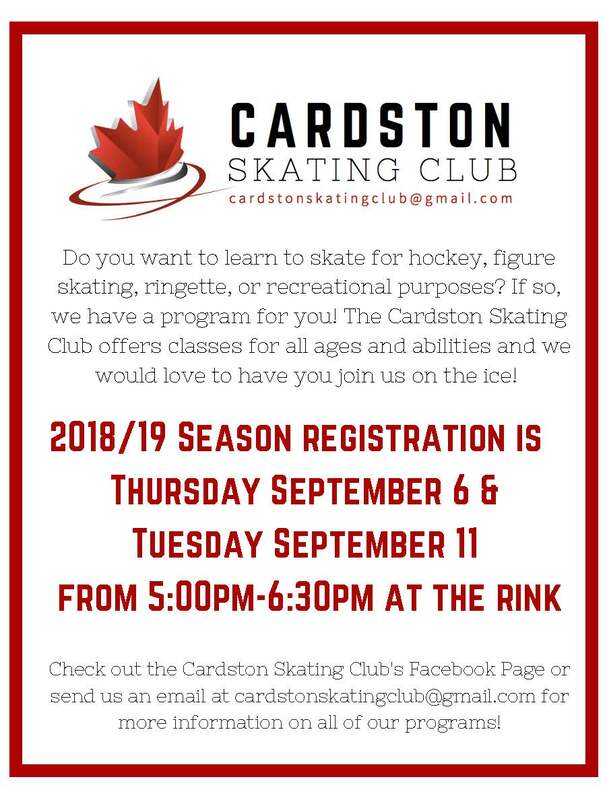 Any questions please email us at cardstonskatingclub@gmail.com.